– Find out the names all Facebook chat dialogues. – Get access and date stamps to understand when each chat took place. – All Facebook chat to audio files or any photographs, videos sent through Facebook chat and saved on the target mobile. Are you currently worried about the growing social media activities of your kids? Do you fear that your work force is spending all its time idling away on Facebook? Do you need to find out who they are chatting with and what they chat about? Simply by installing SpyApps into their mobile, you may get all of the information. After installed, the app will report all Facebook chat tasks to you. Just log in to your own SpyApps control panel that is online and you may access all of the Facebook chat details you require. – This unique feature permits you to see all passwords entered on the phone. You are able to easily see the specific passwords they use for programs, e-mails and social messaging. – Record Phone gives you the ability to manage their cellphone camera remotely to shoot graphics which then are uploaded to your report. Record all phone calls made to or in the target telephone..
– Remotely control The telephone ’s atmosphere are recorded and uploaded to your own control panel as mp3s. You can also listen to it live while it’s occurring. From what I will see, SpyApps is incredibly quick and easy to put in place has required great efforts to make sure their software works nicely with all Android devices, and is glitch-free. In addition to that, they’ve made it their personal mission to make their applications affordable for all.. Although I might have liked to see a few of the more advanced features such as Call Intercept or Record Atmosphere, SpyApps does have just about every characteristic you’re looking out for in a mobile phone spyware. I believe my boyfriend is cheating me since I introduced him to a girlfriend of mine, he has changed completely. They both keep on denying. Are you suspecting your spouse of cheating on you? Do you need to hack their device without physical access? We do remote hacking on any device. We hack all types of social media accounts, emails, PC, websites etc… and we deliver very fast. Contact our group of experienced & professional HACKSUCCES804 AT GMAIL COM for guaranteed results!!!!!? connect now for any hacking work ..
gotta work for you perfectly without any complain. 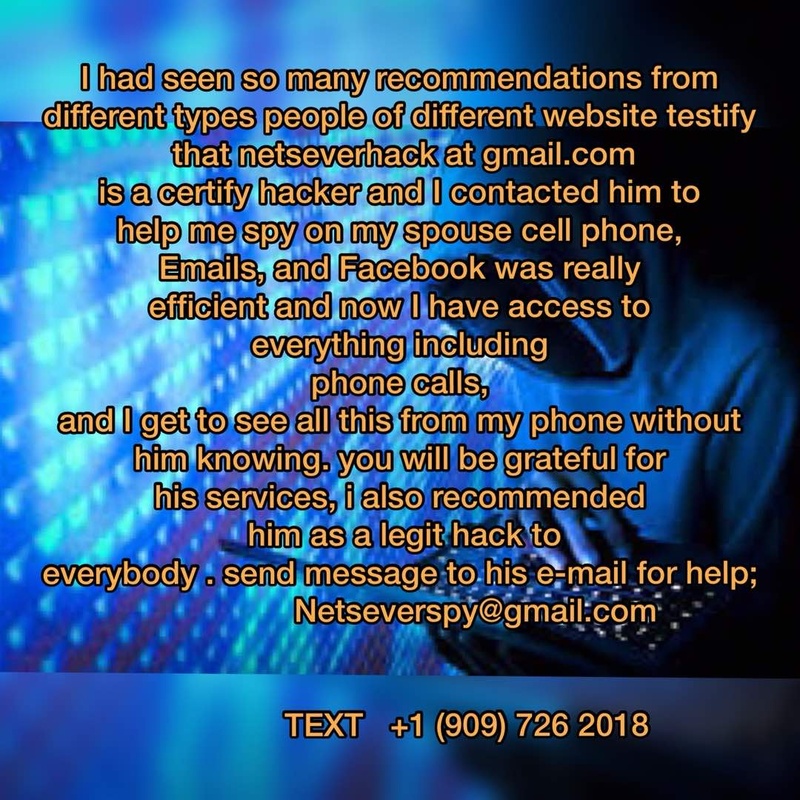 we are good and based on hacking eggs facebook, twitter, hangout, kik, sbapchat, credit card loading, bad record online formatting etc.. contact now..
WE OFFER PROOF BEFORE PAYMENT, CONTACT THE EMAIL ABOVE TO SPY A CHEATING SPOUSE AND FOR ALL OTHER PROFESSIONAL HACK SERVICES. WE PROVIDE PROOF BEFORE PAYMENT..
believe my boyfriend is cheating me since I introduced him to a girlfriend of mine, he has changed completely. They both keep on denying. 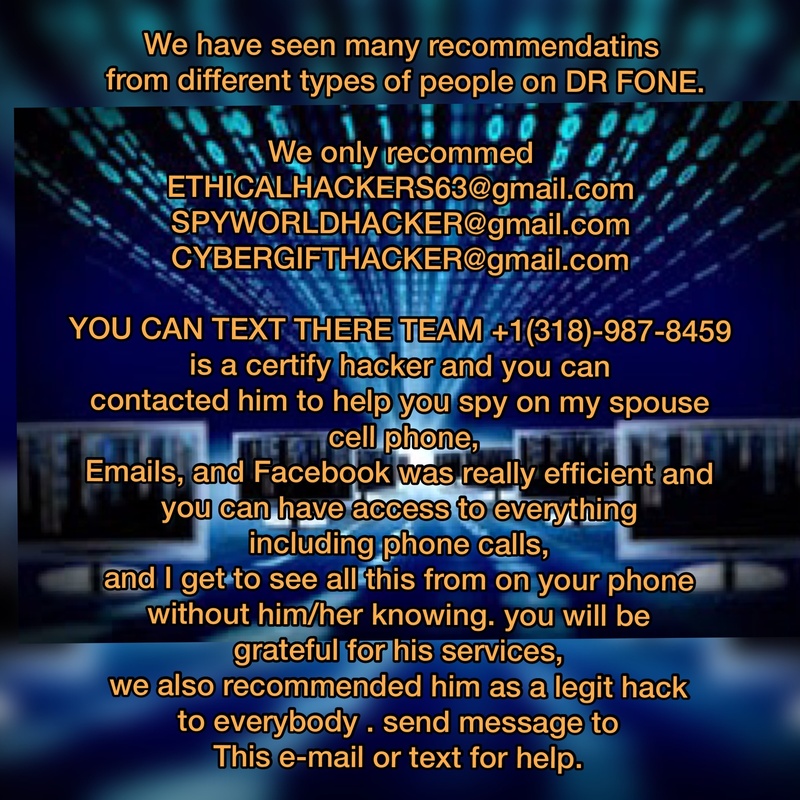 HI GUYS, CONTACT US FOR PROFESSIONAL HACK AND SPY SERVICES, WE OFFER PROOF BEFORE PAYMENT,WE OFFER PROOF BEFORE PAYMENT. This team is a top notch, they’ve worked for me severally and I’ve never regretted hiring their services: .